Emulating more complex skin procedures, Line Interception Power Duo targets wrinkles at their inception and helps to smooth them where they have already appeared. 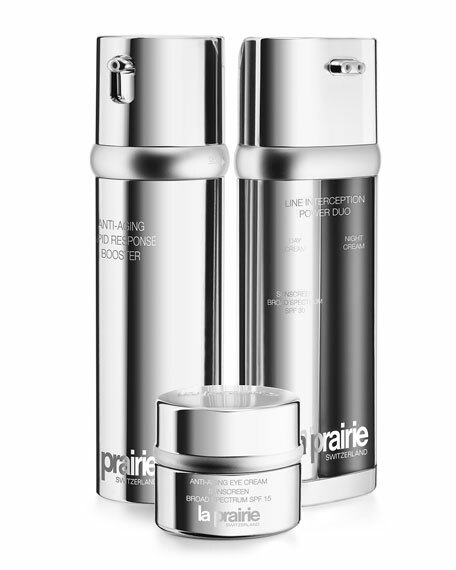 Two distinct creams, one for day and one for night, in two breakthrough formulas to fight 3 types of wrinkles: expression lines, sun-induced lines and aging/gravity lines and wrinkles. With each 24-hour cycle skin benefits from a continuous, multi targeted action for a marked difference in just 14 days and 14 nights. 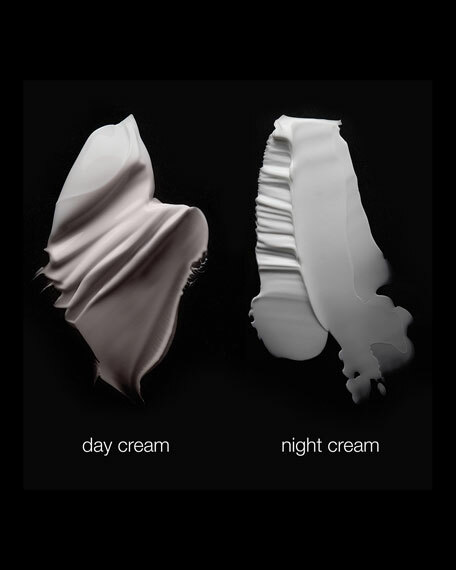 The day cream features anti-wrinkle peptides, UVA and UVB filters and an infrared-A protection factor, while the night cream includes skin-restructuring activator peptides and a calendula flower active. 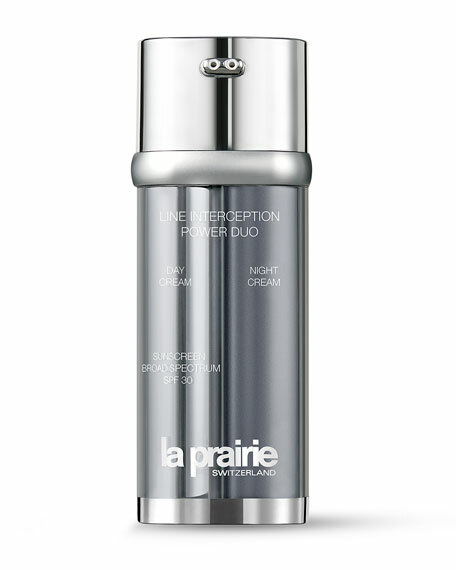 For maximum anti-wrinkle results, apply Anti-Aging Rapid Response Booster serum under Line Interception Power Duo. Targets the most pronounced lines, especially the hard-to-smooth vertical lines that come with age and gravity. Apply the day cream every morning after cleansing, toning and Anti-Aging Rapid Response Booster. 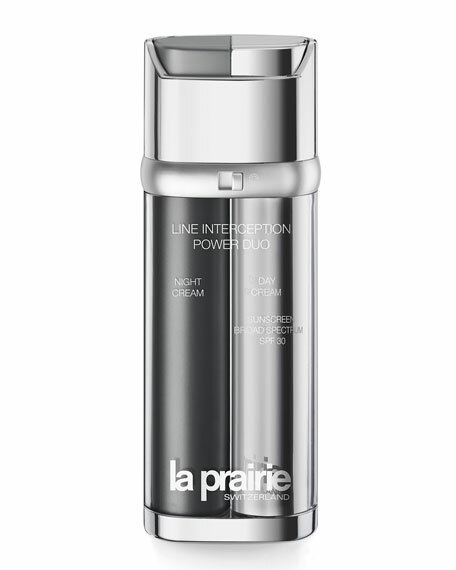 Apply the night cream every night after cleansing, toning and Anti-Aging Rapid Response Booster. Perfect for traveling, Line Interception Power Duo features a locking mechanism. Total, 50 mL / 1.7 fl. oz. Per side, 25 mL / 0.8 fl. oz. For in-store inquiries, use sku #2081210.